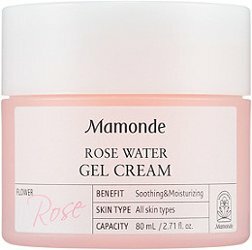 From Korean beauty brand Mamonde, Rose Water Gel Cream: "Mamonde Rose Water Gel Cream is a refreshing, watery gel cream infused with 68.7% Damask Rose Water. Envelop skin in refreshing rose-infused hydration. Their water gel-cream contains 68.7% Damask Rose Water to bathe skin in intense, lasting moisture. The roses for our formula are hand-picked at their peak in the morning dew for the most soothing, hydrating benefit. Leaves complexion soft, fresh and dewy." $26 for 80 ml at Ulta. Aftelier has several new natural skincare items to tempt you this holiday. Shown is Geranium Cleansing Oil ("...a nourishing oil cleanser that can be rinsed off with warm water. 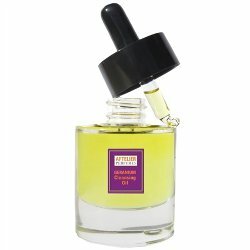 Wild-harvested geranium essential oil was the best choice for the scent, with its gorgeous fresh, green, rosy aroma, and known for enhancing skin repair, reducing inflammation, superior toning, and anti-bacterial properties"; 33 ml for $35), and you might also consider Lavender Face Elixir ("Our lightweight face elixir is immediately absorbed softening and conditioning your skin. Use on your clean face before bed, and drift off to sleep in a light veil of fragrance that promotes relaxation. When you wake up, your skin will feel wonderfully nourished and revitalized. "; 20 ml for $70). The one I really want was already in the mix and I've possibly included in a daily lemming already: Jasmine Face Elixir ("This delightful jasmine aroma is uplifting and relaxing. Drifting off to sleep inhaling this gorgeous aroma makes you feel as if all is right in the world"; 20 ml for $70). It would be nice to have one of these in my purse. Not $80 nice, mind you, but nice. If they mark them down to 75% off, I might buy one. Rodin's new Face Oil Sticks, available in Jasmine & Neroli ("If you're a fan of Rodin's 'Luxury Face Oil Jasmine & Neroli', then you're going to love this version - it's sized to fit in a tote and has a smooth, balm-like texture that melts beautifully into your skin. Formulated with a blend of rich antioxidants and 11 nourishing oils, it deeply hydrates for a radiant, fresh-looking finish. 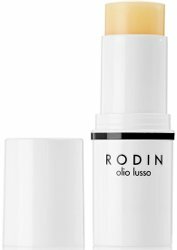 Glide it onto the tops of cheekbones as a subtle highlighter or rub onto dry cuticles. "), Geranium & Orange Blossom, or Lavender. 11g each at Net-A-Porter. 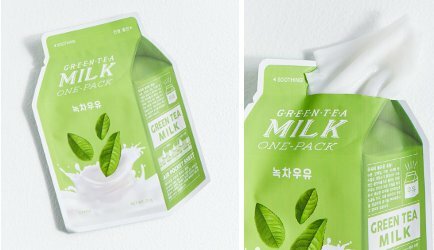 A Green Tea Milk sheet mask from A’Pieu: "Cotton sheet masks from k-beauty brand A’Pieu drenched in a milky essence of active ingredients + fruit extracts that deliver intense moisture to the face. Green Tea is formulated to soothe sensitive skin and balance natural oils." Two masks for $5 at Urban Outfitters. 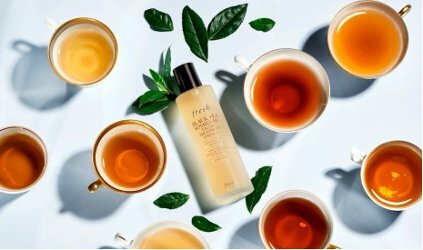 From Fresh, Black Tea Kombucha Facial Treatment Essence: "Black Tea Kombucha Facial Treatment Essence is a silky liquid leave-on formula powered by kombucha, fermented sweet black tea, that increases moisture and luminosity for a radiant, lustrous complexion. The highly concentrated age-delay treatment provides daily antioxidant and anti-pollution protection, which helps prevent premature signs of skin aging. The versatile, weightless essence also smoothes, softens the look of fine lines, and refines the appearance of skin, boosting its resilience and vitality." $68 for 150 ml.